Corvallis-Albany Farmers’ Markets – please visit both sites! 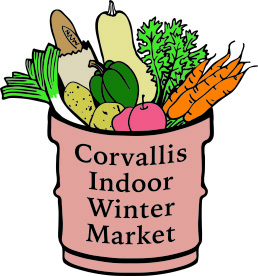 Corvallis Indoor Winter Market – please visit both sites! Lebanon Downtown Farmers’ Market – please visit both sites! Great list, Lavinia. I love farmer’s markets. Saturday hugs! Hi Teagan, thanks for stopping by! The Willamette Valley has fairly mild weather, and the markets here have a long season. Corvallis and Albany start up in April, and run through Thanksgiving. Lebanon and Sweet Home will start up in late May and early June, respectively. All the best to you! Trying to follow you but can’t figure out how to do it. Jodie – for some reason I can’t find it now either. You may need to do what I have done for blogs where I can’t find a way to follow, and that is to import the URL into your WP Reader. Let me know if that works. It DID work! Thank you!